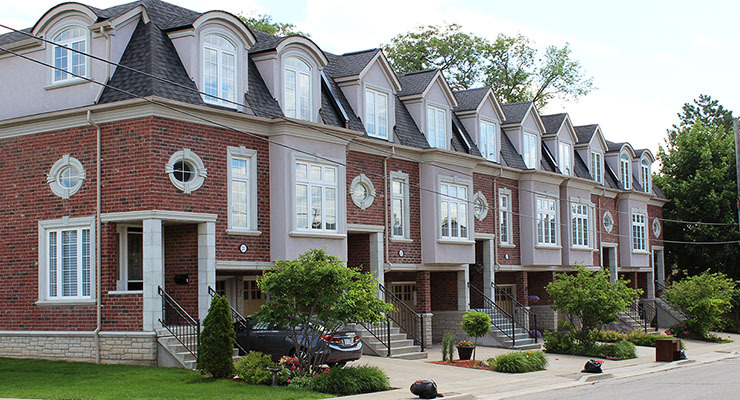 The number of homes sold in the Greater Toronto Area continued to rise in August, with the month showing another year-over-year increase according to a report released today by the Toronto Real Estate Board (TREB). The TREB report showed that there were 6,839 home sales last month – an 8.5% increase from the 6,306 sales recorded in August 2017. After 14 months of year-on-year decreases in home sales beginning in April 2017, this marks the third straight month of year-on-year increases in the number of homes sold. That’s certainly a positive sign for the market and an indication that buyer confidence is returning. in addition, although the number of sales hasn’t returned to the high levels of 2015 and 2016, another positive sign is that the total is now approaching the ten-year average for sales numbers (7,440). Looking more closely at the home sales numbers an interesting picture appears. In the City of Toronto sales were down slightly year-over-year, dropping 1.6% from 2,480 to 2,441. 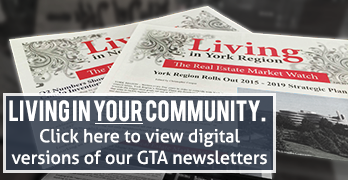 Meanwhile, the resurgence in activity in Halton Region and York Region continued. Halton Region saw a 22.6% increase in home sales from 593 in August 2017 to 727 in August 2018 – following on from a 28.9% increase in July. York Region saw a similar increase, with the 1,111 home sales recorded last month marking a 19.5% increase compared to a year earlier, which followed a 34.7% increase in the previous month. There was good news for sellers in the TREB report because the average price of a home in the GTA rose 4.7% from $730,969 in August 2017 to $765,270 in August 2018. As with sales, this is the third month in a row that the average price has increased on a year-over-year basis. The City of Toronto and Peel Region were the main drivers of that price increase, recording 8.1% and 7.6% year-over-year increases respectively. Elsewhere in the GTA, price changes were less dramatic, with smaller increases and decreases of less than 2%. Active listings were down in August compared to the previous month but that is expected during the quieter summer months and follows historical patterns. In total, there were 17,864 active listings in August – a reasonable increase from the 16,419 active listings in August 2017. That total puts August 2018 above the ten-year average of 16,845 and shows that there are still lots of properties on the market for buyers to choose from. This is backed up by the inventory numbers in the TREB report that show there was 2.6 months’ inventory across the GTA. There is less inventory in the City of Toronto, which only has 1.9 months, whereas York Region appears to have lots of properties on the market, with 4.6 months of inventory available. This is yet another sign of the different market conditions in the various areas of the GTA, with Toronto looking to be in a seller’s market, for example, while York Region still looks like a buyer’s market.